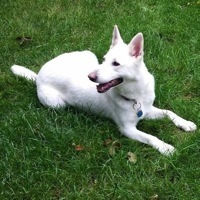 - Florida White Shepherd Rescue - ADOPTIONS - Rescue Me! Hi! I'm Honey Bear! I was rescued from Highlands County Animal Services. I am around 9 years old and weigh 62 lbs.